Insecticide fleas TECHNOCID eliminates all feas insects and pest. Used on prevention, this solution also generates a strongly repulsive effect extended against these pests. 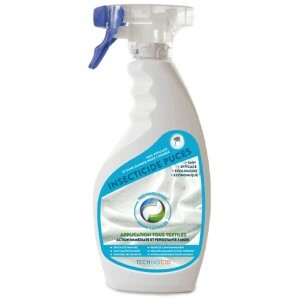 Insecticide fleas TECHNOCID eliminates all feas insects and pest. This treatment used on prevention, it also generates a strongly repulsive effect extended against these pests. Applies the solution on clothing, skin, curtains, bedding, sheets, walls and other media. active substances with greater efficiency while dramatically reducing harmful to humans.